A few things are equally important for your oral health, no matter what your age or stage of life. Good nutrition, brushing and flossing habits, visiting the dentist and a little fluoride are always (always) the essentials – you won’t ever hear us say otherwise. However, your dental hygiene routine requires unique considerations for each new season of growth and maturity. 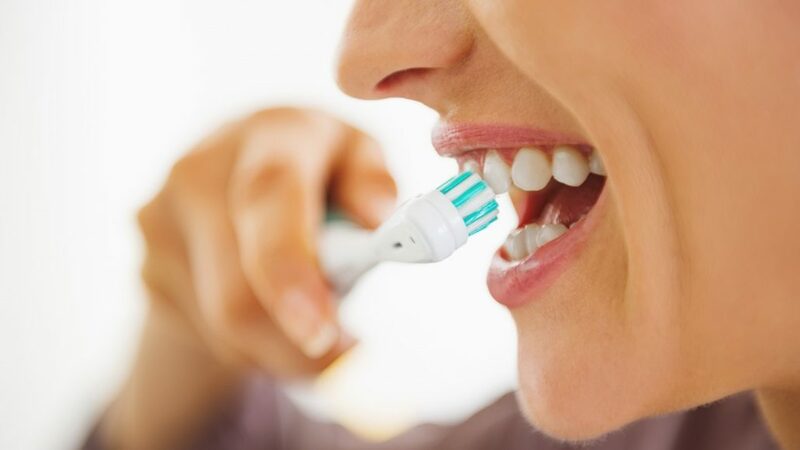 Read below as Drake Family Dentistry shares what is especially important knowledge to maintain your oral health throughout your life. You may be surprised at what we have to say! From the moment your child enters the world, they are equipped with not one, but two sets of teeth to last their lifetime—even if you can’t quite see said teeth yet. Oral health and dental care are as important at this time as every other. Don’t wait to set the stage for good habits that will ensure a healthy, functioning smile for your newest family member. Baby bottle tooth decay is a serious side effect of overexposure to the sugars in baby liquids. Use only breast milk or formula in your baby’s bottle (never juice or soda) and don’t let her fall asleep with the bottle in her mouth. Wash your baby’s gums and budding teeth with a clean, wet towel every day. Teething begins at anywhere from 3-9 months. Teeth emerge in a consistent pattern: lower 2 front incisors; upper 2 front incisors; 2 additional lower incisors; first set of molars; canines; then second molars. The third set of molars, known as the wisdom teeth, are not a part of the baby teeth but will emerge last among the adult teeth. Thumb sucking and pacifiers serve their purpose but can increase your child’s risk of tooth decay, jaw misalignment, and an improper bite. Bring your child in for her first dentist appointment as soon as her first tooth comes in. Most state insurance covers dental visits for children receiving government assistance. From age 3 and up, fluoride toothpaste is a proven safe and important part of a child’s dental needs. Kids should visit the dentist twice a year. Consider fun Tooth Fairy traditions to celebrate your child’s growth as she loses her baby teeth and gains the adult set. Sealants are helpful for preventing cavities (and cheaper, too!). It’s important that kids wear mouthguards while playing sports. Braces can be necessary, even for your child’s baby teeth – so don’t be surprised if your dentist suggests them. Proper nutrition is important to keep growing kids healthy. Make sugary treats a rare occasion to encourage strong bones and teeth and prevent cavities. Older kids and teens start to become aware of their appearance and bad breath. These are extra good reasons to encourage healthy habits that build confidence. No one is around anymore to remind you to brush your teeth or force/drive you to the dentist. 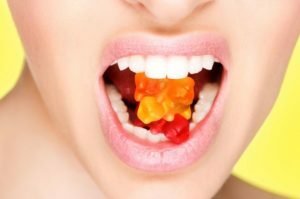 And lots of your favorite vices in this age can wreak havoc on your teeth (the last set you’ll get!). Your teeth and mouth will serve you forever if you continue to prioritize your dental hygiene along with everything else going on in life. Beware that sugar, coffee, red wine, and nicotine increase tooth decay and stains. Gum disease is very common among adults and can cause all sorts of complications with your health overall. Contrary to popular belief, it’s healthy and important for pregnant and nursing women to see the dentist regularly. It can even prevent birth defects! Adults are familiar with aches and pains all over their body. Always share what’s going on with your dentist as you might be surprised how connected your oral health is to the rest of your body. The golden years should be about celebration and gratitude for all you’ve seen and done. Make dental care a joyful ritual and stay on top of your hygiene visits – health-related issues generally tend to become more complicated as we age. According to the Centers for Disease Control and Prevention, 70% of adults over 65 have gum disease. Many states have senior benefits that cover dental care. Oral cancer becomes an issue for many people at this age. Dry mouth (most often caused by prescription drugs) is very common and can lead to increased tooth decay. Be sure to communicate with your dentist about your overall health because other health concerns (especially issues with your joints, heart, and diabetes) can affect your dental health and the care you need. Dentures need just as much TLC as your natural teeth do, so don’t forget them in your daily routines. So – What Does Your Mouth Need Today? Dr. Drake treats mouths and teeth of every age throughout Kansas City. Contact us for an appointment to clean and care for your teeth exactly as they need today!